This year Steff Bomb and ESC will be bringing you 9" handmade plush figs for NYCC. I'm excited about these because Steff is an amazing crafts ninja and extremely cool person to work with. I'm so happy she was down to do this! 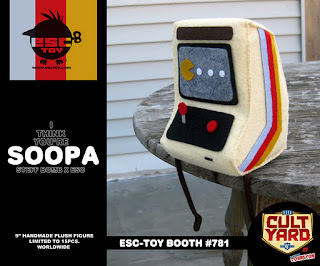 Steff will be signing at the ESC Toy booth #781 on 10/15/11 from 3pm-4pm. More ESC x NYCC news coming soon.